Ground Round Grill & Bar in Grand Rapids, MN receives national recognition as 2017 Restaurant of the Year, awarded by the Ground Round Chain! The Ground Round Grill & Bar, located at 1001 S Pokegama Ave, Grand Rapids, MN, was named 2017 Restaurant of the Year by the national chain. The award is based on overall results, contribution to the brand and community it serves, and the overall quality of its operations. 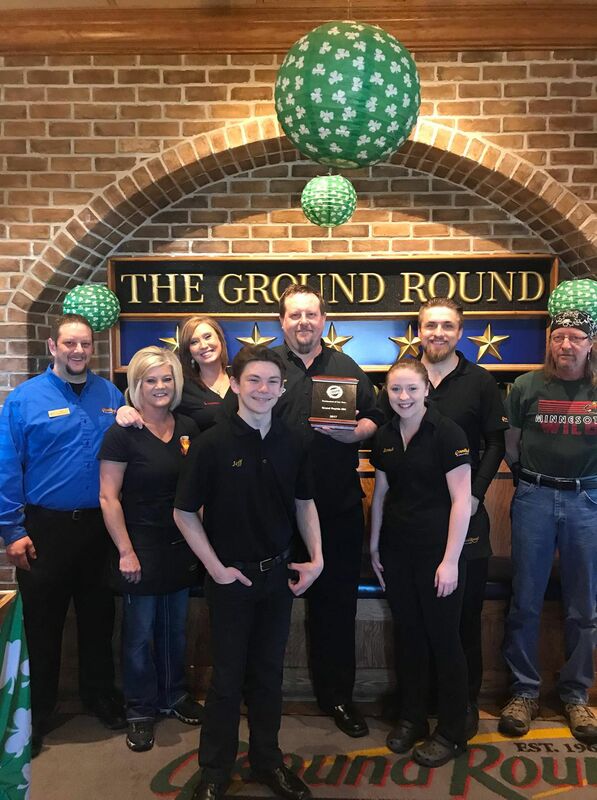 The Grand Rapids, MN Ground Round has served its community for 15 years and continues to be a peak performer for the brand. They have enjoyed steady growth over the last few years which can be directly attributed to the ongoing support of the location’s owners, and an experienced management team and staff. The location sees very little turnover, and that is a direct reflection of the positive environment skillfully created for employees. “The location’s General Manager, Dennis Reiff, has been with the location since day one and is an active participant in the brand’s Menu Development Committee and is always willing to assist brand leadership as needed,” states Jack Crawford, President & CEO of Ground Round Independent Owners Cooperative (IOC), who announced the award at the brand’s annual convention in Cape Coral, FL in late February. The Grand Rapids location has been open for 15 years as of January 2018 and owned by the Burggraf family since its opening in 2003. The location employs 45 people. The Burggrafs were founding members of the Ground Round, IOC, LLC in 2004. 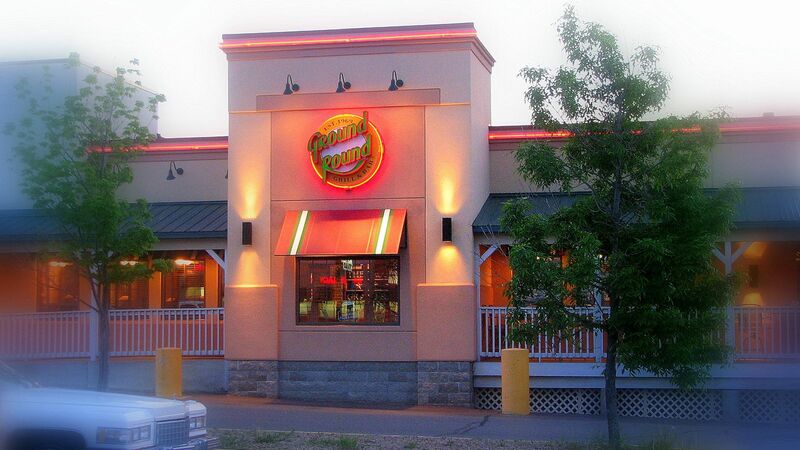 Ground Round operates restaurants in 10 states spread across the Midwest and Northeast areas of the United States, with headquarters based in Freeport, ME. Grand Rapids is one of five Ground Round restaurants in Minnesota. Other Minnesota locations include Rochester, Waconia, Winona and Worthington. For more information, visit www.groundround.com.